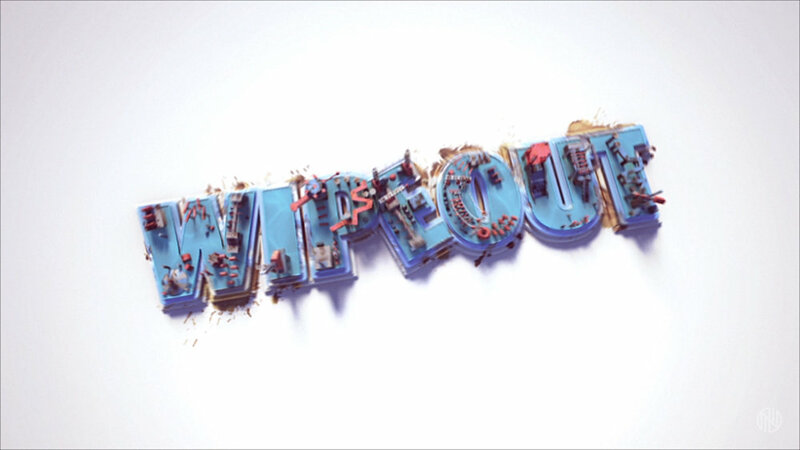 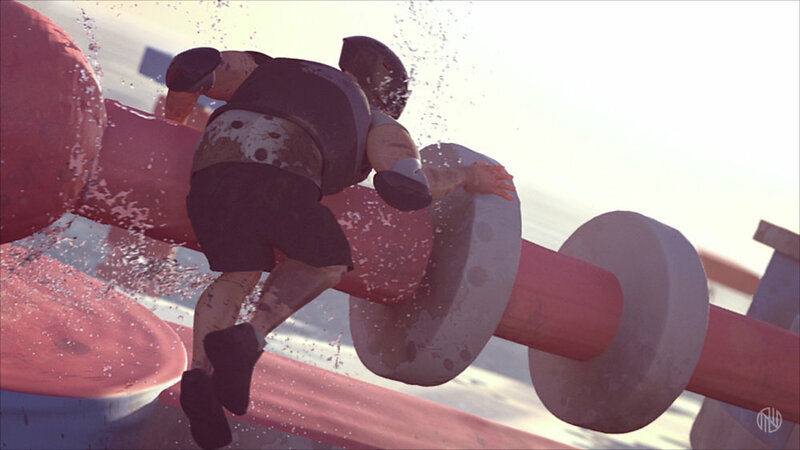 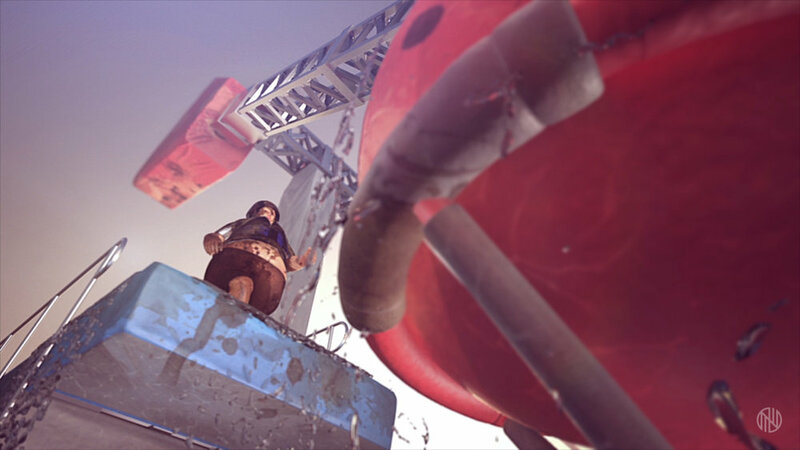 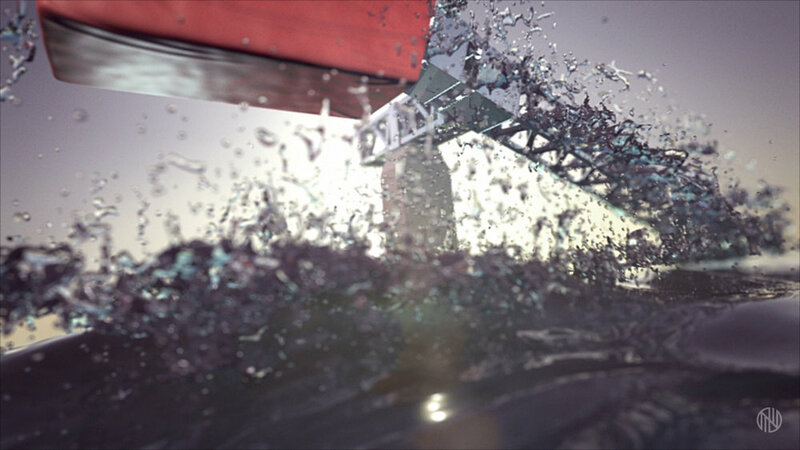 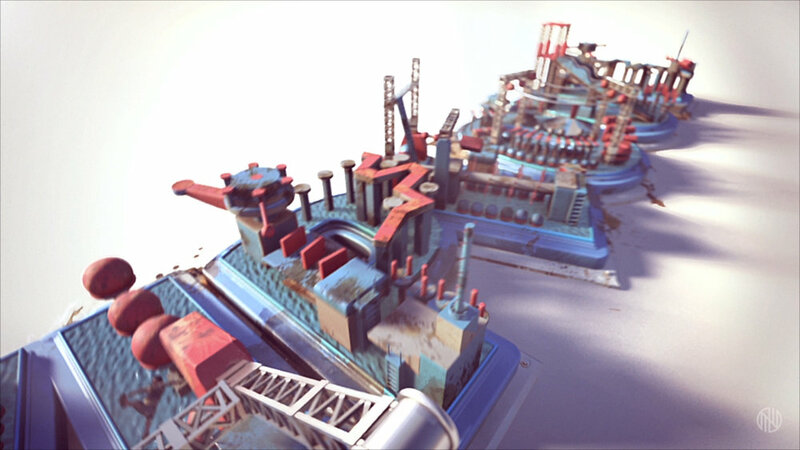 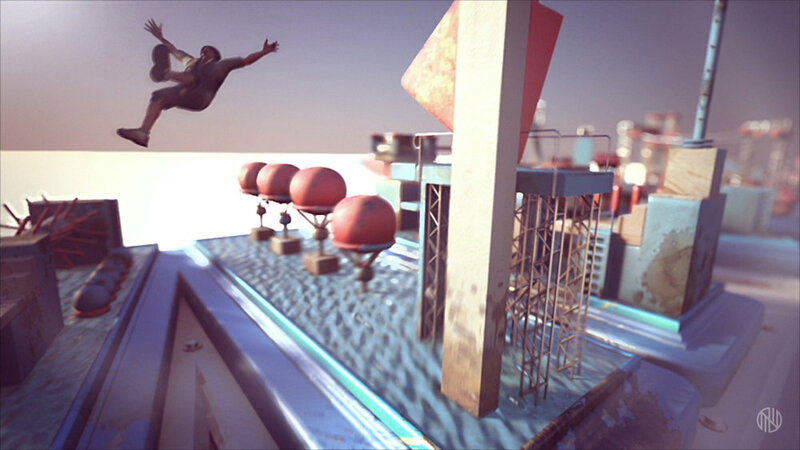 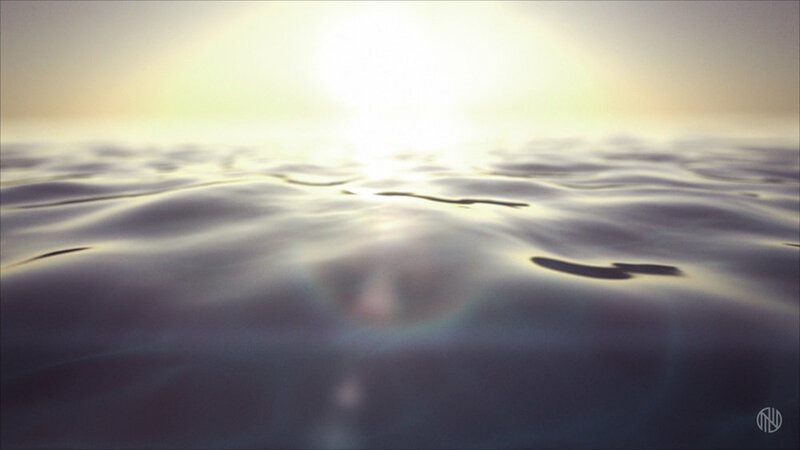 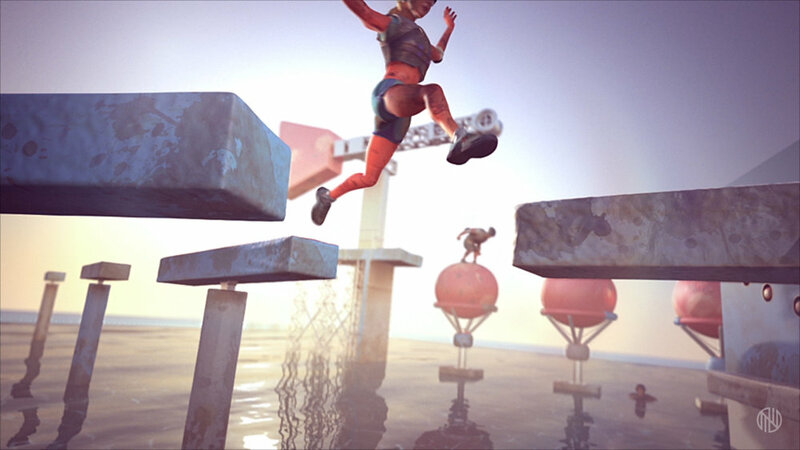 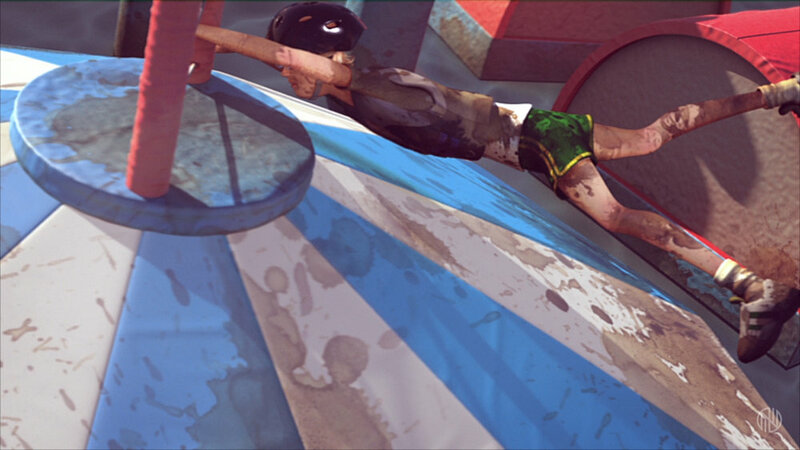 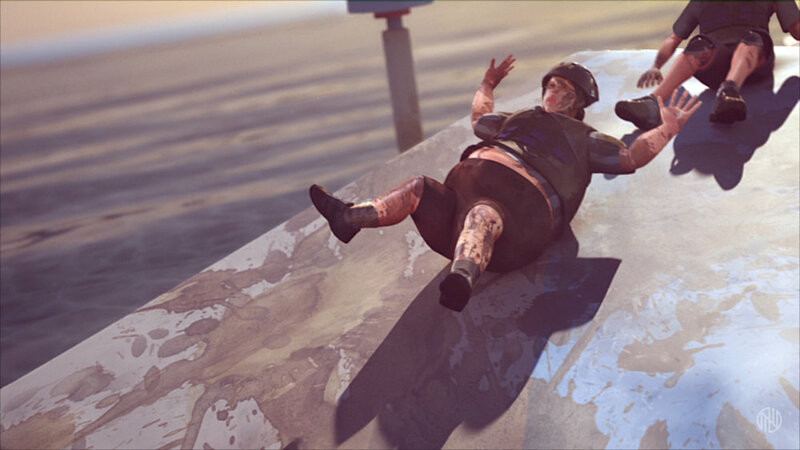 In this animated TV spot for ABC’s Wipeout, iconic obstacles from the shows many courses rise out of the water and into position. 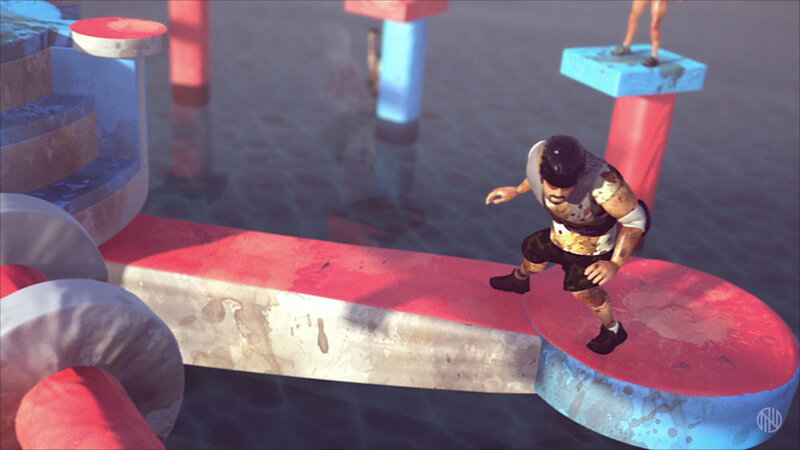 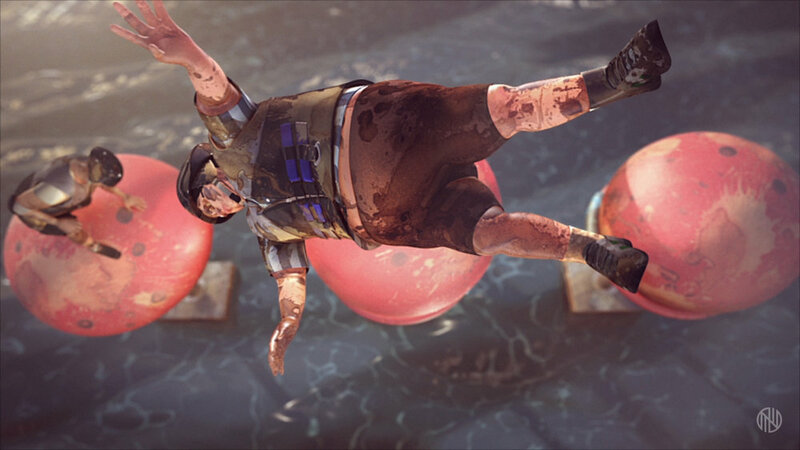 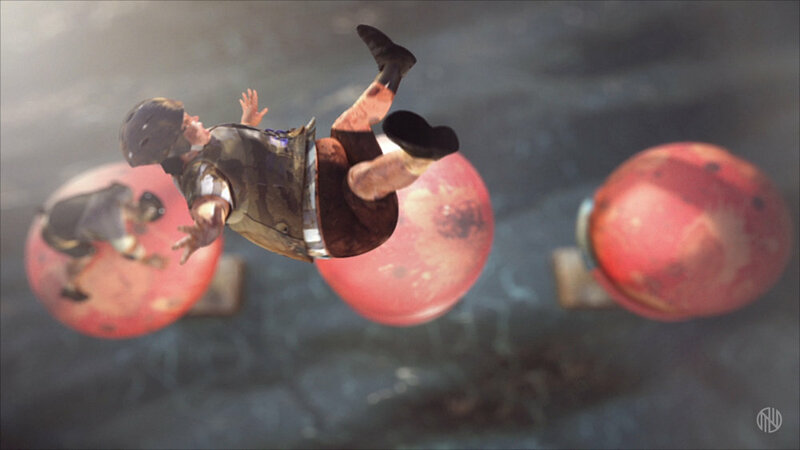 We follow a group of contestants as they try to cross the obstacles without wiping out. 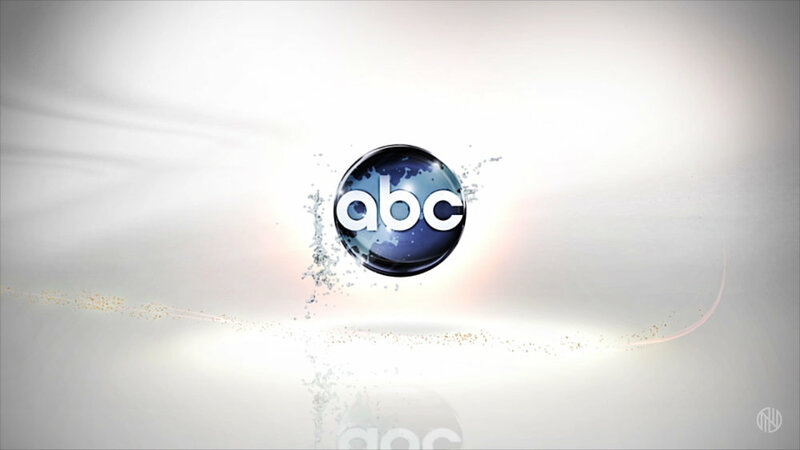 In the end, we zoom out to see that the contestants and the obstacles were inside the show’s logo the entire time.